Orange you glad I'm thinking of you? Hello my friends! 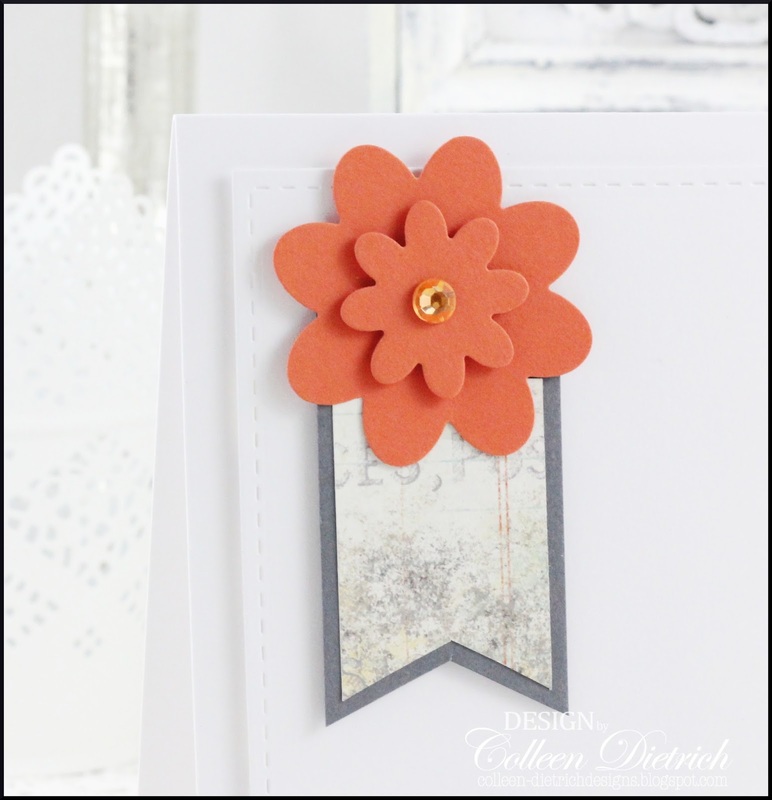 This card is quite clean and simple: I'm on a CAS roll so far this week, here on my blog. :-) Just getting around to posting things from months ago. All this white reminds me that we are expecting a bit of snow this coming weekend. I love snow! It's a beautiful blanket for the earth. It makes me want to get all comfy and cozy inside my little home, my sanctuary. Thanks for coming by today. Have yourself a beautiful, wonderful, blessed day, friends! 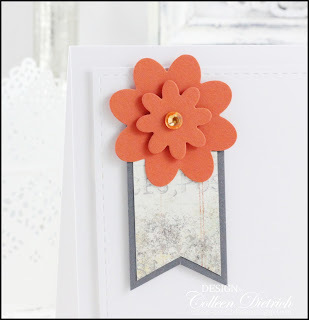 Your orange flower looks fabulous against all the white! I do love orange in small doses. That is a pretty little sentiment, too. Of course, you know I'm a Power Poppy fan and very fond of Marcy. There is so much more to her beyond her art. Perfectly delightful Colleen! Love the way the bloom pops off the crisp white background! !